The Facebook Link Shim and your SilverServers SEO Report - Website SEO, Design and Hosting News | SilverServers Inc.
At SilverServers, we provide search engine optimization services for small and medium businesses in Kamloops, across Canada, and around the world. Our growing Grassroots Search Engine Optimization program is helping businesses compete for good rankings in Google search and other search engines like Bing, duckduckgo, and more. Each month we send SEO Reports to our clients that give a helpful snapshot of data about visitors to their websites. One section of that data contains information about referrals the website has received. When using an effective social media strategy, it’s typical to see incoming traffic from social media websites like Facebook, LinkedIn, and Instagram. The incoming traffic numbers from those locations can get big when social media is leveraged in an SEO-friendly way! Sometimes Facebook sends referrals from a few different places, and we often get asked what they all mean. So today we wanted to share a little bit about the Facebook’s many referral sources, the “Link Shim”, and what these mean if you see them in your SEO report or Google Analytics. What Are All Of The Facebook Referrals? Each of these domains has a different meaning. We’re going to talk about all of them, but we’ll talk the most about l.facebook.com. What are Referrals from facebook.com and m.facebook.com? You may have already guessed, but m.facebook.com means you received a referral from someone clicking a link on the mobile version of Facebook. This URL is the mobile version of the social media website. If you type that into your browser’s address bar when you’re on a desktop, you will be treated to the mobile version of Facebook on a full screen! A referral from facebook.com means that someone clicked a link to your site while they were scrolling through Facebook on a desktop device. Nothing surprising here! As we’ll talk about below, when either of these two URLs is listed in the referral section of your Google Analytics or SilverServers SEO report, it means that Facebook had no reason to use their link shim tool. What is a Link Shim? 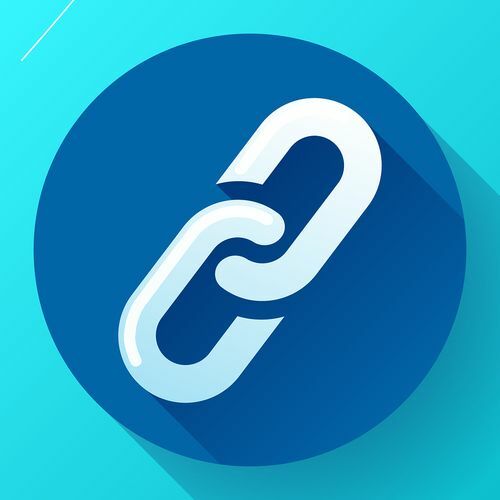 Facebook’s link shim tool helps them provide their users more privacy and security, while still providing accurate information to tools like Google Analytics. It has been around since 2008. For the early years of its use, it worked by sending you to an intermediary page before sending you to the URL of the link you clicked on. While you were waiting on this intermediary page, Facebook would check their own internal list of malicious links as well as checking “numerous external partners”. If the URL that was clicked turned out to be potentially malicious, a warning popup would be shown – but if the link was clean, then you would be sent from this intermediary page to the destination you wanted to get to. Since 2012, the tool functions differently because the idea of doing all of that checking while sitting on the “intermediary page” slowed down the load time of clicking on a link. Now the tool checks all the links on your Facebook page as it loads, so that their servers know in advance whether or not they’ll need to protect you when you click on a link. When l.facebook.com shows up on your Google Analytics it can mean various things, but primarily it means that you received a few visitors whose data was passed through the link shim tool before they got to your website. For whatever reason, Facebook determined that the visitor who clicked on some particular link to your website on some particular Facebook page meant that they might accidentally share too much data with your Google Analytics. If you haven’t guessed yet, the last URL on our list above, lm.facebook.com, is the same as l.facebook.com, but for visitors from mobile devices. Does Instagram Do Something Similar? Yes! Since Instagram is owned by Facebook, they use the same system. We see it far less often in our SEO Reports, but we do see it. Don’t be surprised if you see l.instagram.com on your SEO Report! The link shim is a useful tool the Facebook uses to protect their users. Now you know a bit more about what it is the next time you see it in your Google Analytics or your SEO Report from SilverServers. We enjoy learning more about the tools that exist online which affect your website and the traffic it gets. Feel free to ask us questions about what you see on your Analytics or your SEO report. We may not know the answer right away, but we always enjoy the opportunity to learn more so we can serve our clients better.